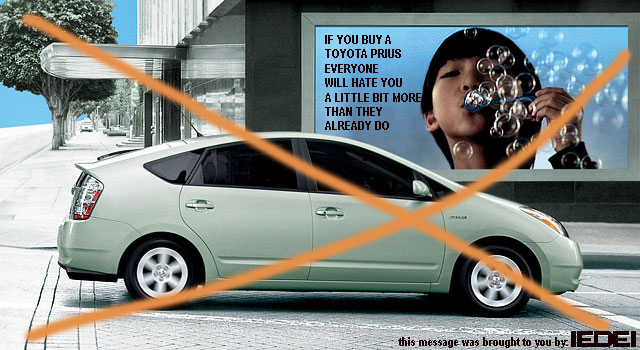 As you know, over the past year or so—-IEDEI has posted several articles speaking against the most irritating, useless, and crappy car on sale today: the Toyota Prius. Through all this Toyota recall business going on, i’ve been secretly hoping the Prius gets involved in the hooplah, somehow destroying its squeaky clean image and ruining its mojo. Well it’s finally happening! Some Toyota cars accelerate too much……some just cannot stop. The Prius cannot stop. RECALL pending! Phase I of the Prius Destruction Program initiated.